Yesterday I couldn't emerge from my cave. That's how my life is sometimes. We got good ones and bad ones. Some of us swing more than others, and more than they admit. Today, I was determined to have day, a good day, better than yesterday. Luckily I have a cousin here who can help. Had a big Jethro Fine Grub brunch with Meagan, and Heather, and Dale. It was exactly yhw right foot to start on. And I got to see and play with Ella, my cousins dog. I'm just saying, she's the best. She really helps lift a day up. Throwing that ball is as good for me as it is for her. But don't tell her that. 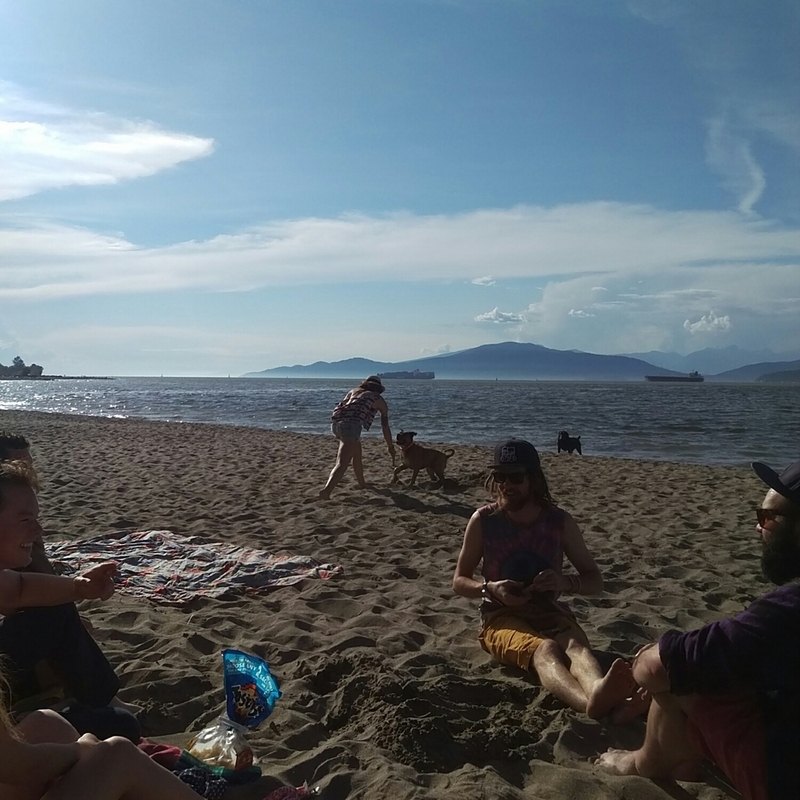 Then we had some backyard hang times, some kind runnnng, some beach hangs with Farmers peeps, some ice cream, some amazing Italian, some brassneck beer, and some home time. It was just what the doctor ordered!